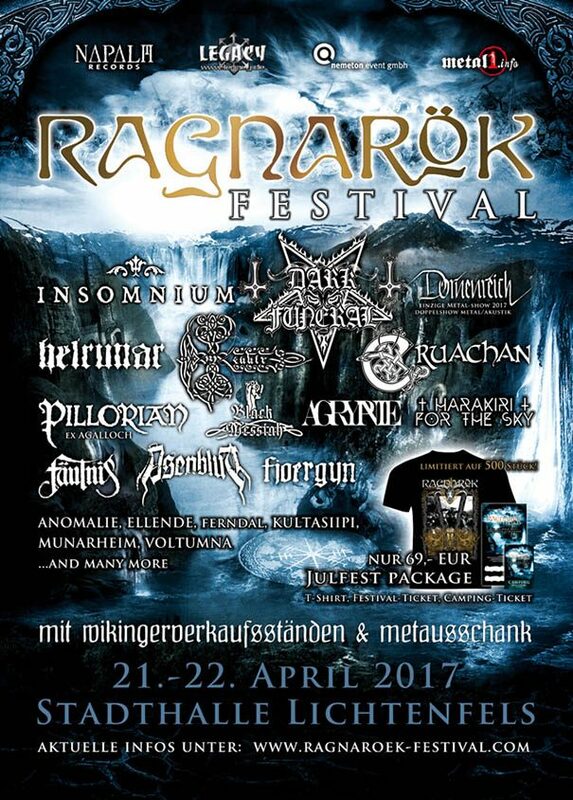 Fort Worth Metal Fest 2018 will take place at The Rail Club in Fort Worth, Texas, USA on March 17, 2018. 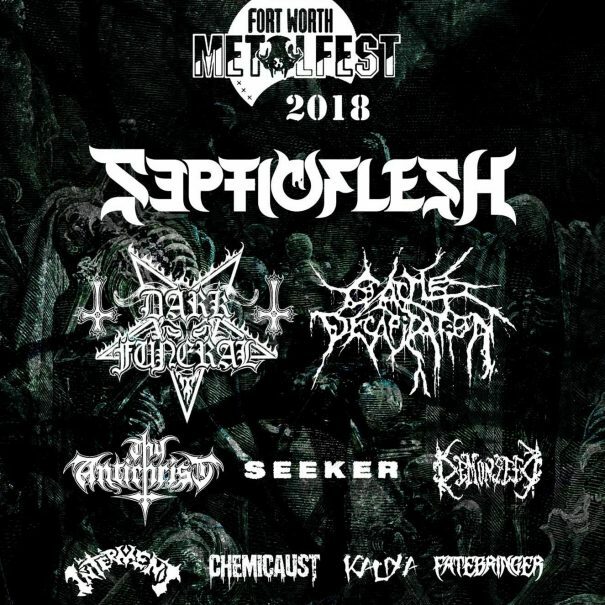 Septicflesh, Dark Funeral and Cattle Decapitation are among the bands that will perform at Fort Worth Metal Fest 2018. Throne Fest 2017 will take place at Kubox in Kuurne, Belgium on June 3-4, 2017. 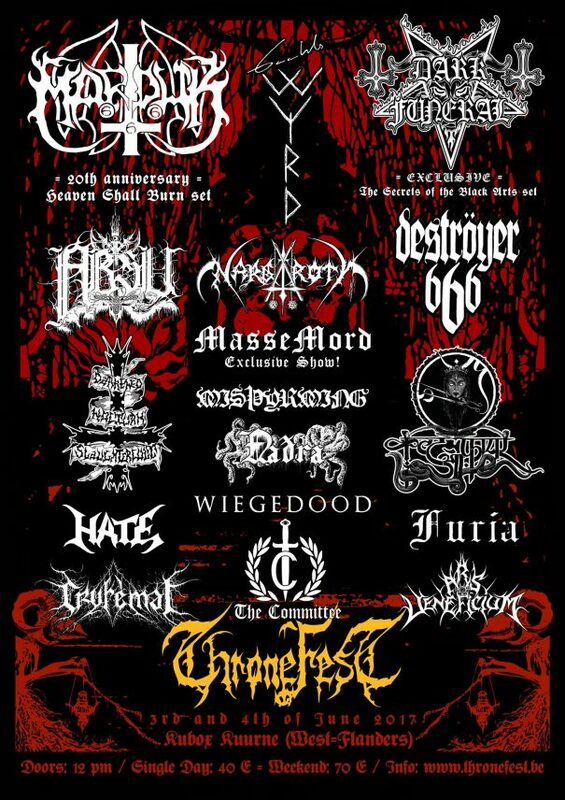 Marduk, Dark Funeral and Deströyer666 are among the bands that will perform at Throne Fest 2017 festival. 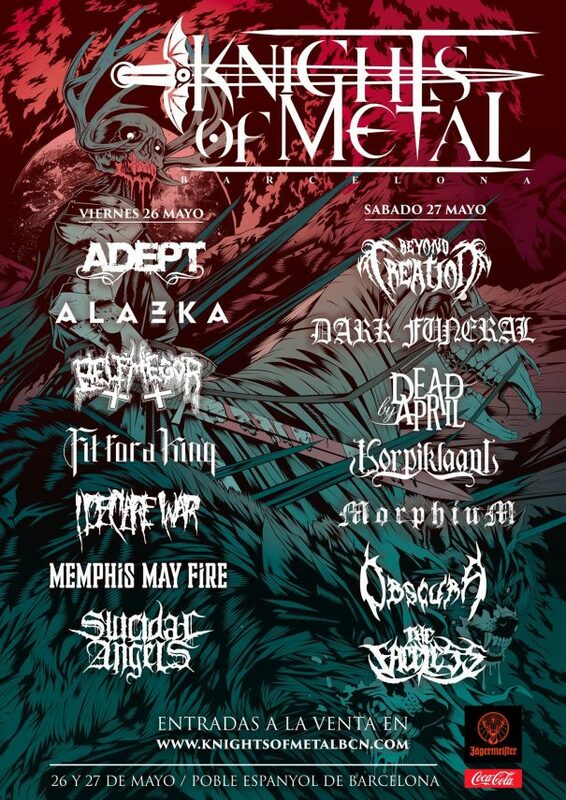 Knights Of Metal 2017 will take place at Poble Espanyol in Barcelona, Spain on May 26-27, 2017. 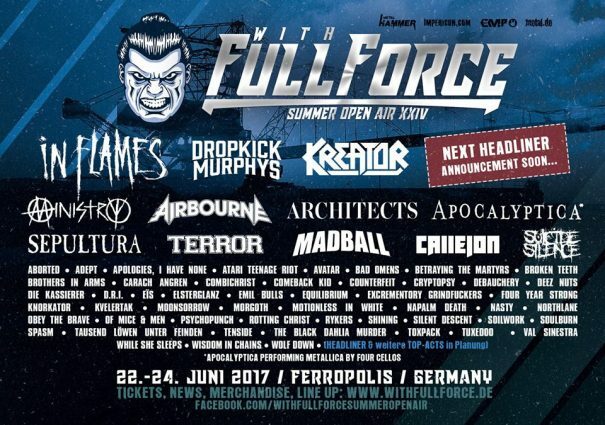 Dark Funeral, Belphegor and Obscura are among the bands that will perform at Knights Of Metal 2017 festival. Incineration Festival 2016 will take place at The Dome and Boston Music Room in London on May 07-08, 2016. 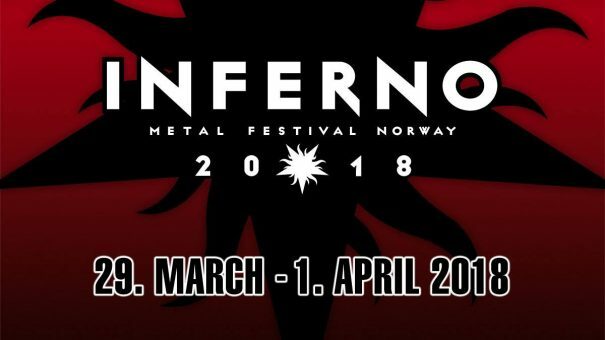 Dark Funeral, Marduk and Origin are among the bands that will perform at the Incineration Festival 2016 festival.